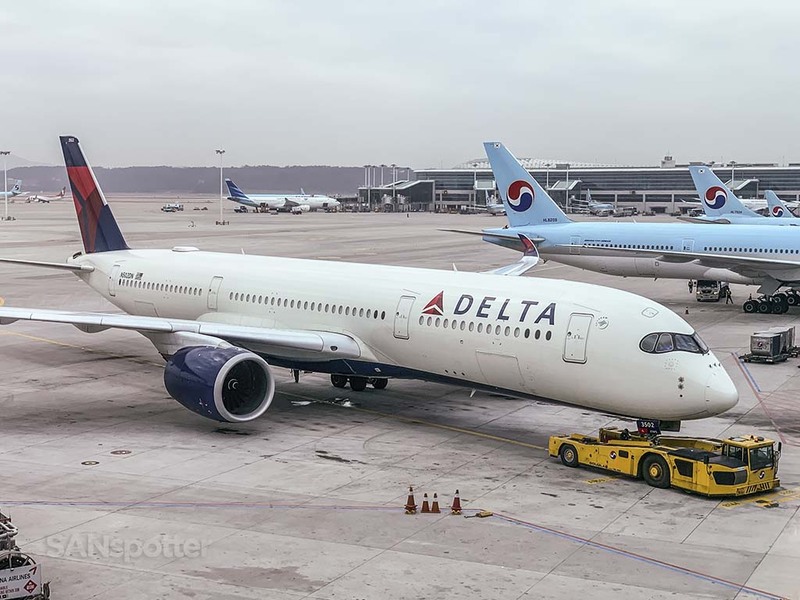 In stark comparison to teetering on the brink of sleep-deprived hallucination at the end of my my last review, I arrived at ICN the morning of this flight to Detroit well-rested and ready to create the best Delta Premium Select review ever. 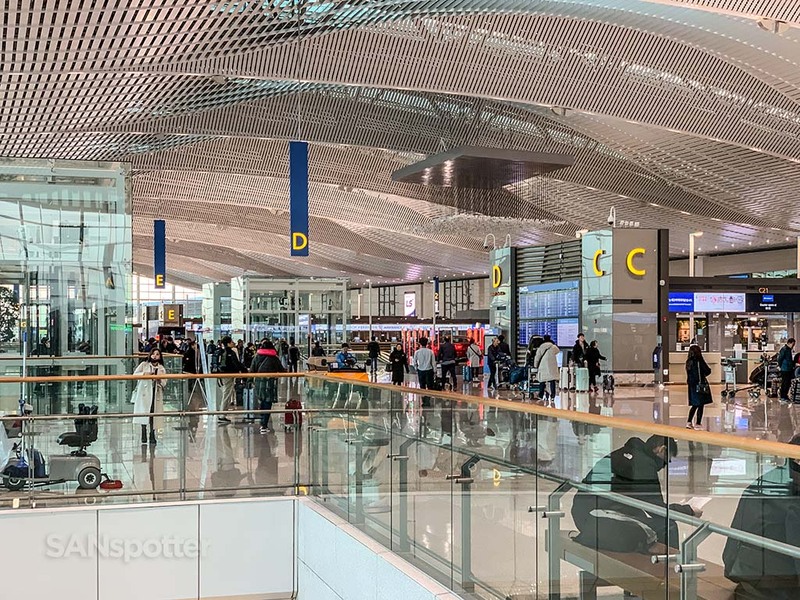 10 hours of deep sleep and a solid workout in this the hotel gym was exactly what I needed to reset my systems, and I walked into the departures hall of terminal 2 feeling an irresistible urge to high-five someone. I was even wearing a different shirt for the first time since my QANTAS Melbourne to Sydney review, so how could this not end up being a really good day? Delta Air Lines A350-900 side view illustration by Norebbo.com. 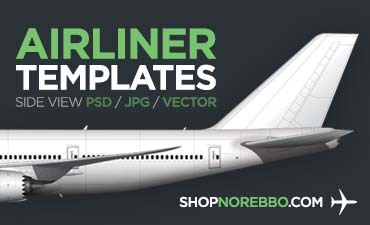 High resolution JPG/PNG/PSD versions are available, so let me know! 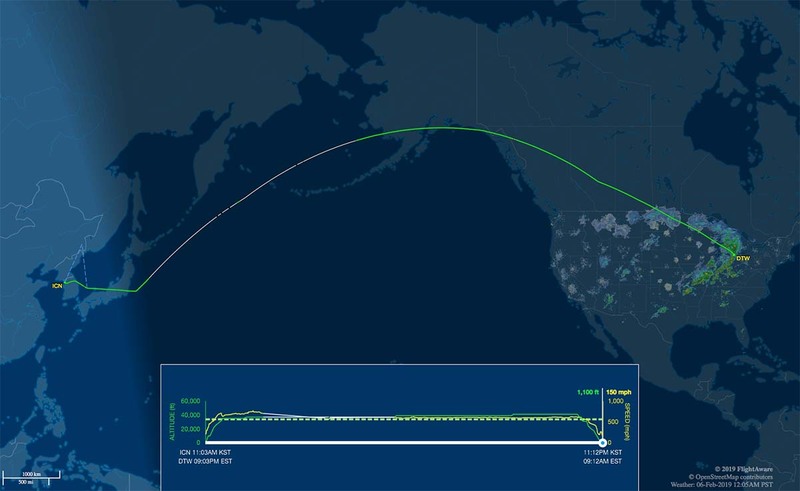 Seat map of this Delta Air Lines A350-900 (courtesy of seatguru.com) showing my seat (22J) for this flight to DTW. 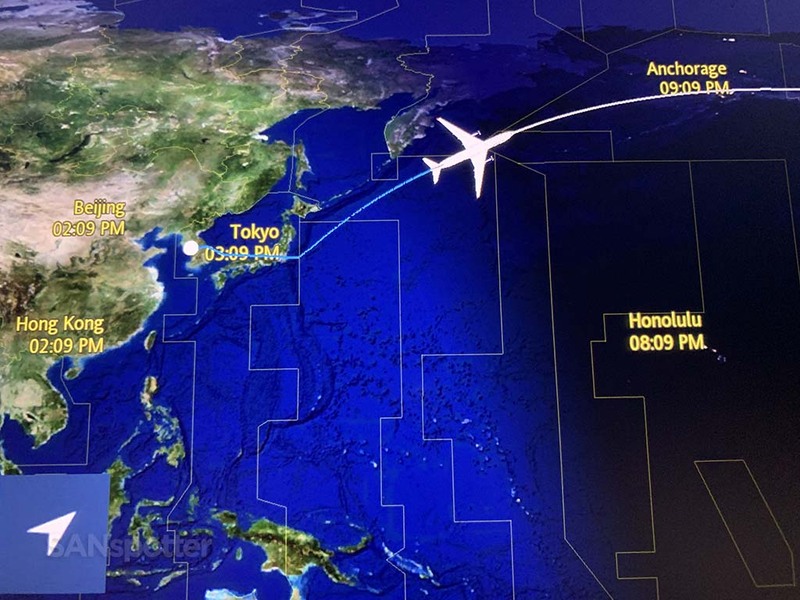 Our route from ICN to DTW today. One of the first things I’m going to do when I become rich and famous (lol) is to hire an assistant who travels with me. The primary job of this person will be to lurk in the shadows while I’m filming, and intervene only when it’s obvious that I’m shooting waaay to much irrelevant footage. 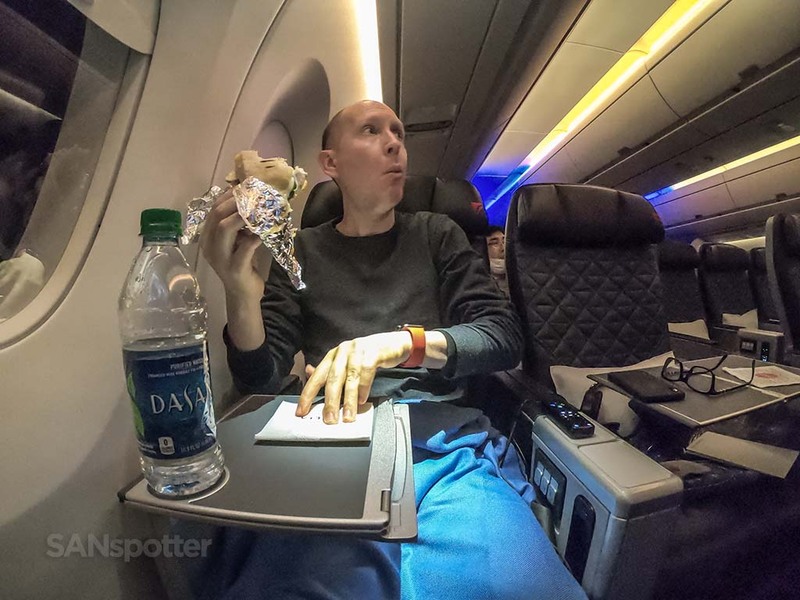 Yes, a good Delta Premium Select review is worthy of as much high-quality footage as possible, but not to the point where I’ve got three cameras pointing at me while I’m eating. Nobody needs to see that, and I’m pretty sure even my own mother would roll her eyes and skip ahead. 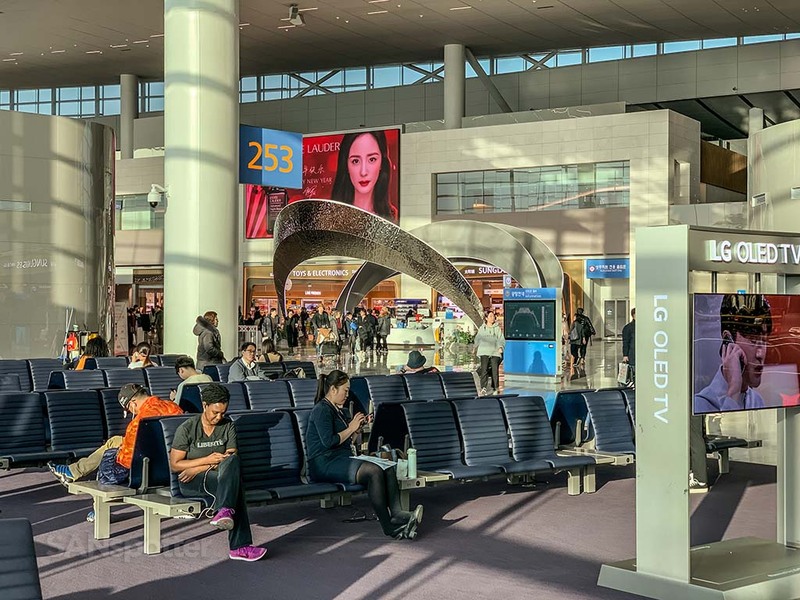 I love everything about Incheon airport here in Seoul. It’s massive, beautiful, and a really fun place to walk around and people-watch. I’m always happy when I’m here. 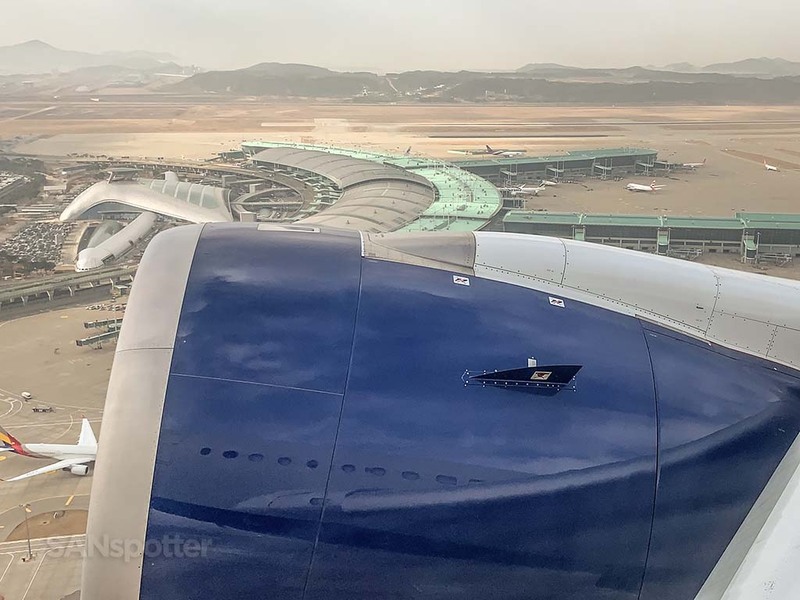 To prove it, today was the first time ever that I had flown in or out of ICN in economy class, and I couldn’t help but to strut around with a grin carved deeply into my face. Ok, who wants to high-five SANspotter this morning? As usual, nobody dared make eye contact with me (likely out of fear of ending up in the trip report). There wasn’t much happening at the Delta check in counters other than a small group of people planning their strategy for avoiding me and my stupid camera all the way to Detroit today. 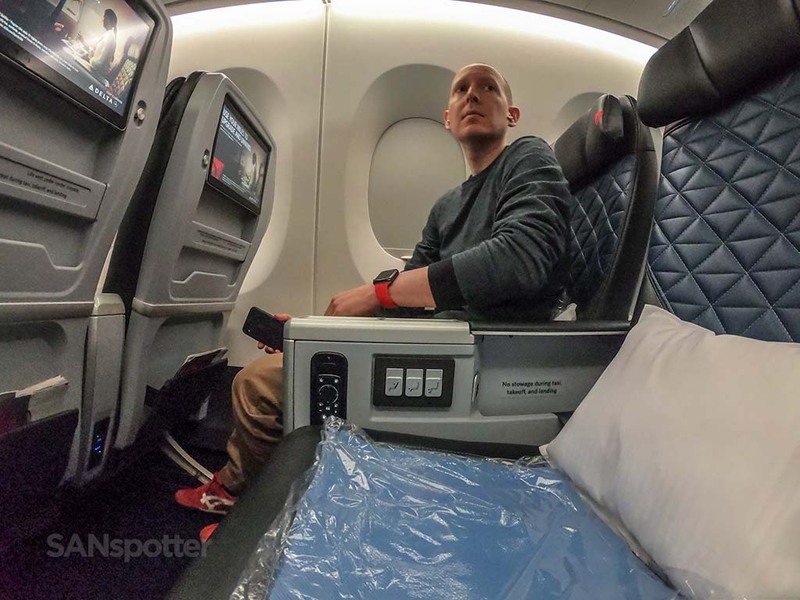 Technically, Delta premium economy is really good (as you will soon see), so it’s not like it was easy to feel bummed about what was about to happen. 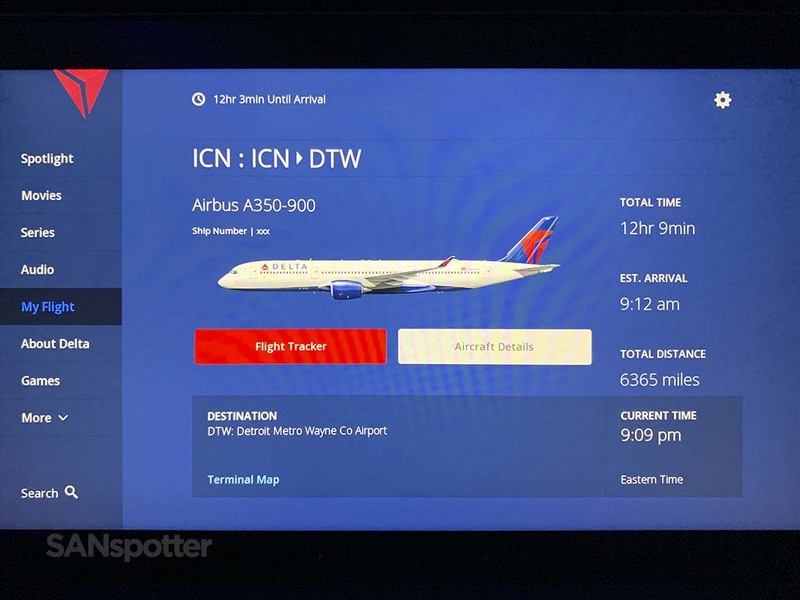 I specifically chose this flight because I wanted to do a proper Delta Premium Select review on the A350, so…I was feeling just as excited as the last time I flew from ICN to the US in business class. 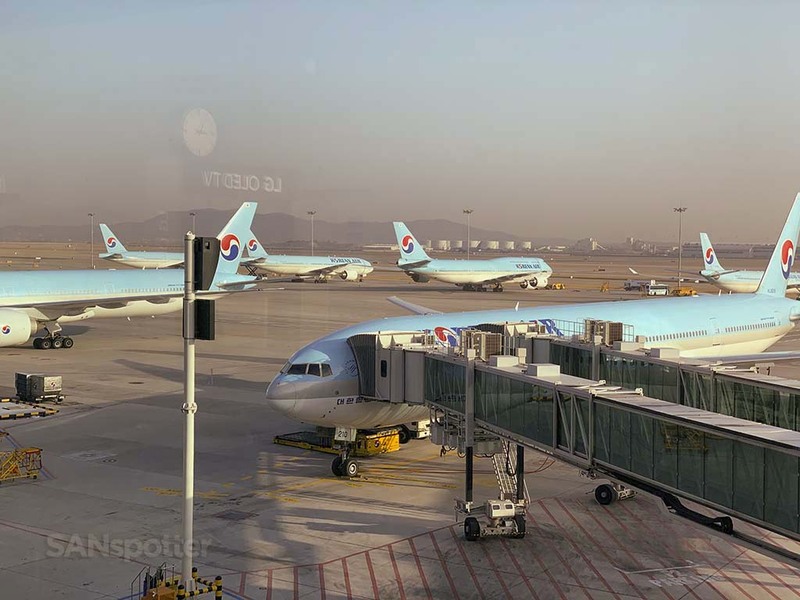 As much as I was looking forward to flying on a Delta A350 today, I will admit that I was having a bit of Korean Air envy as I walked around. 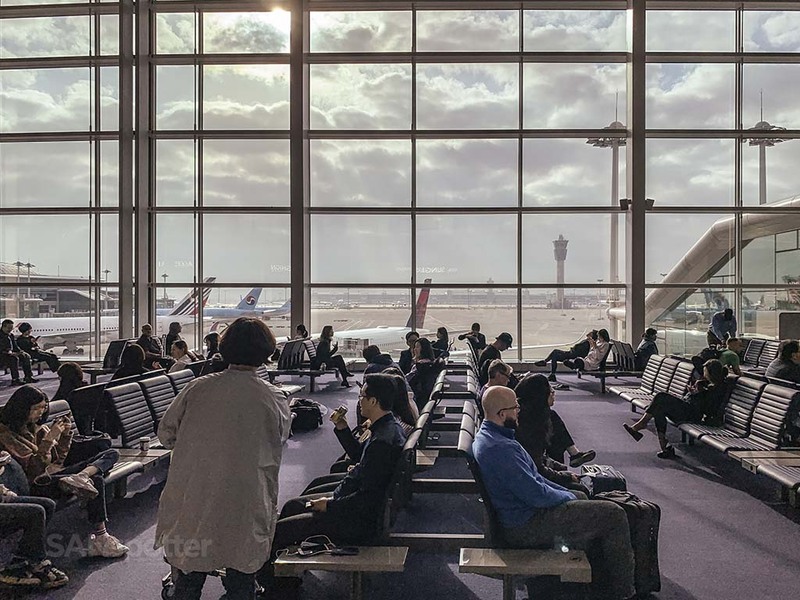 My Korean Air A380 flight from ICN to LAX a couple years ago was so good that it’s still the “happy place” I go to when I find myself in a bad situation and in need of a pleasant distraction. 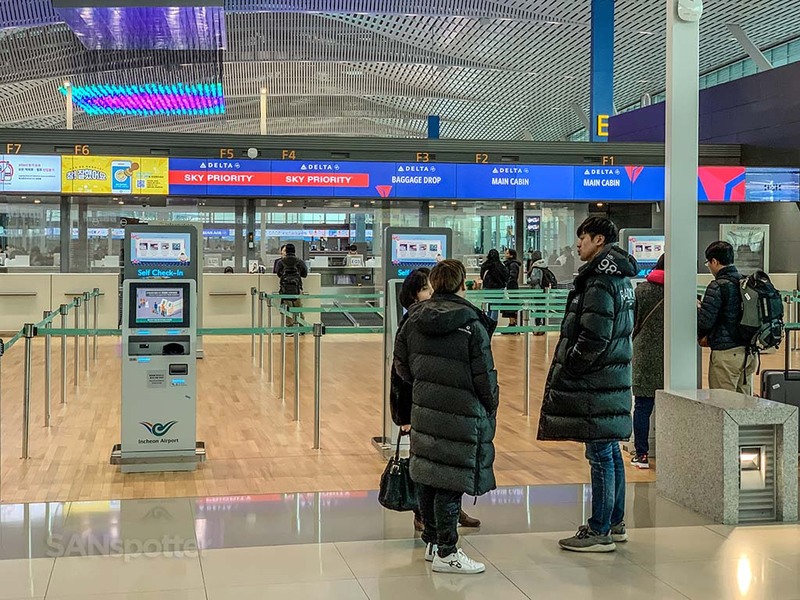 It wouldn’t be Korea without an LG TV display blocking my view while trying to get a pic of the terminal. One of the best things I like about Asian airports is the food. 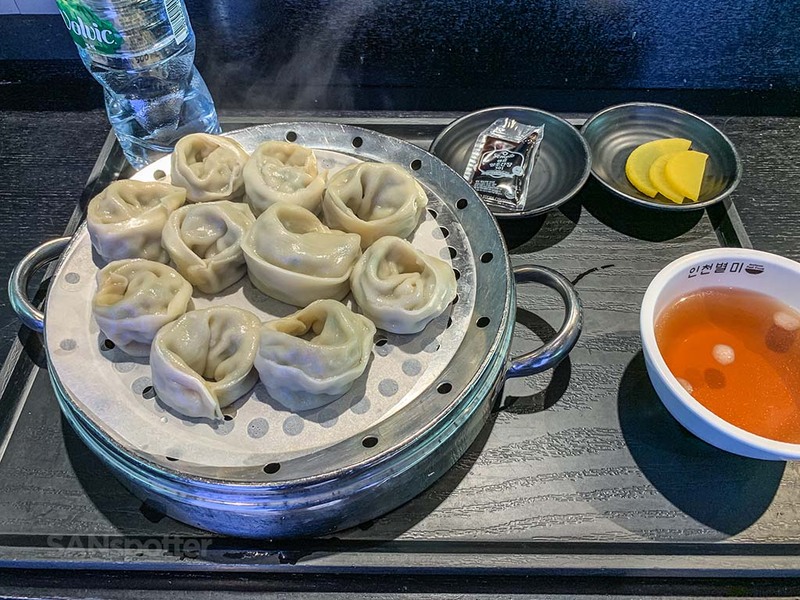 I can’t remember the last time I left an airport in Eastern Asia feeling ashamed for how much food I consumed, and this time was no different. I would have been perfectly happy with a bagel considering that the food was likely to be really good in Delta premium economy, but I stumbled across a “street food” cafe / restaurant that lured me in with the strength of that notoriously wicked tractor beam on the Death Star we saw in episode 4 of Star Wars. Once finished with my meal, it was back out into the main terminal to walk around and burn some calories before the long fight to Detroit. 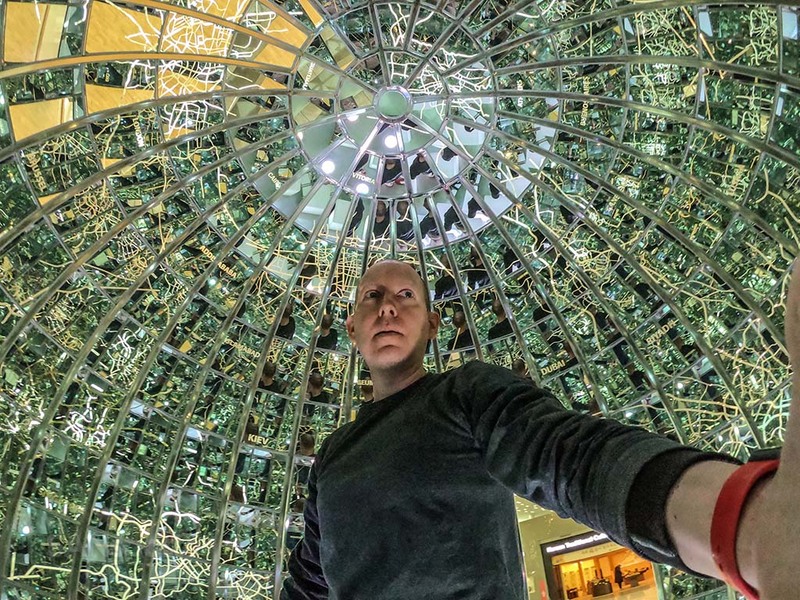 Meanwhile, I was about to give myself an aneurysm inside this sphere of mirrors just across from the gate. Nothing is more horrific than seeing myself from 5000 different angles all at once. 20 minutes before boarding, and the gate area is fairly empty. It’s either going to be a really empty flight today or…everyone is still gorging on pork dumplings back at the restaurant. Just as boarding was getting underway here at gate 253, it occurred to me that I was no less excited about getting on this A350 than I was on my first one from Bangkok to Singapore four days ago. 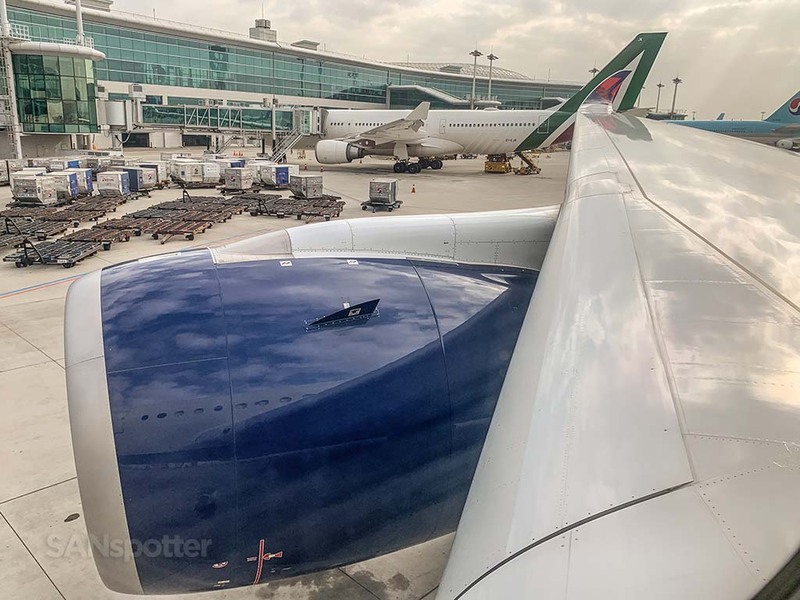 The A350 is an amazing aircraft, and the fact that I’d get to experience this one while draped in Delta premium economy was just the icing on the cake. 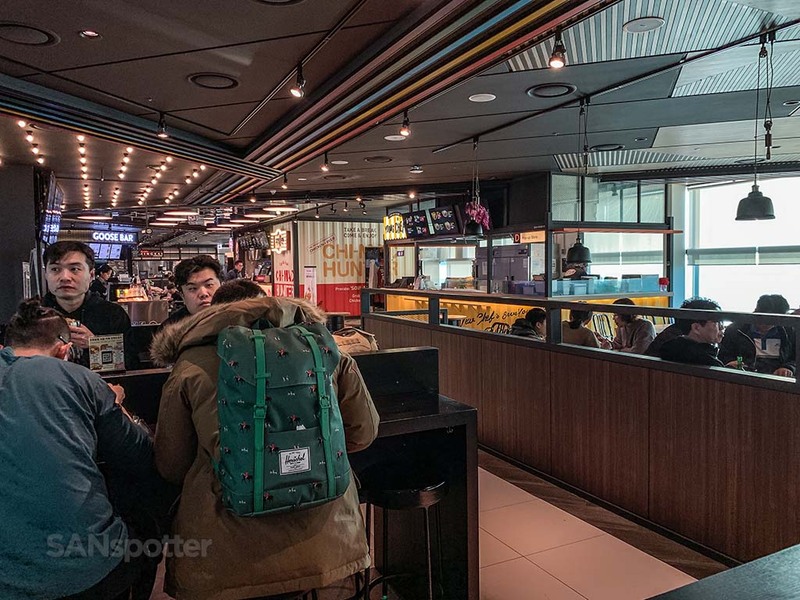 Boarding is just getting underway here at gate 253 now, and I guess pretty much everyone in the restaurant said “**** it, I’ll go tomorrow” as they crammed more pork dumplings down the hatch. Looks like it’s gonna be an empty flight! I’d be a terrible criminal, because I get anxiety even thinking about the possibility of attempting a self-upgrade. 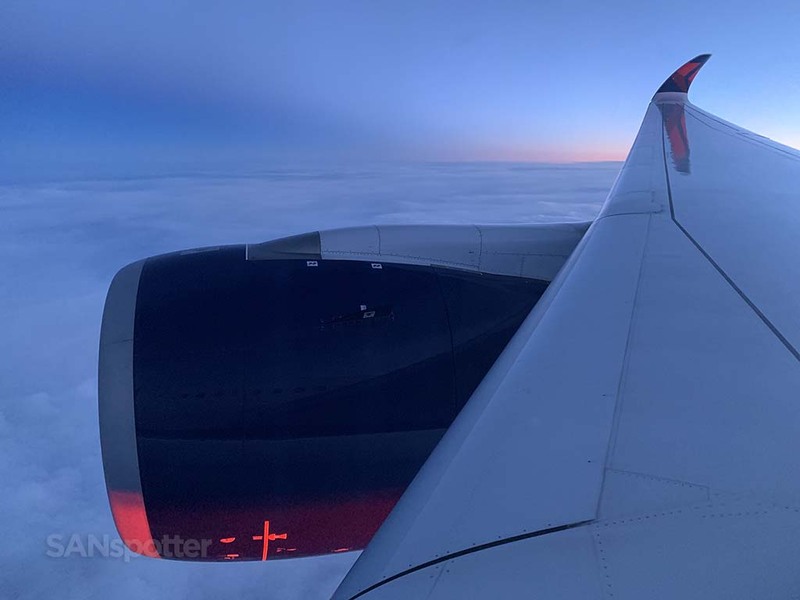 Turning right wasn’t all that bad though, because…Delta Premium Select here on the A350 looks nice! Delta A350 Premium Select seats 21 H and J. Hey Josh! You still with us buddy? 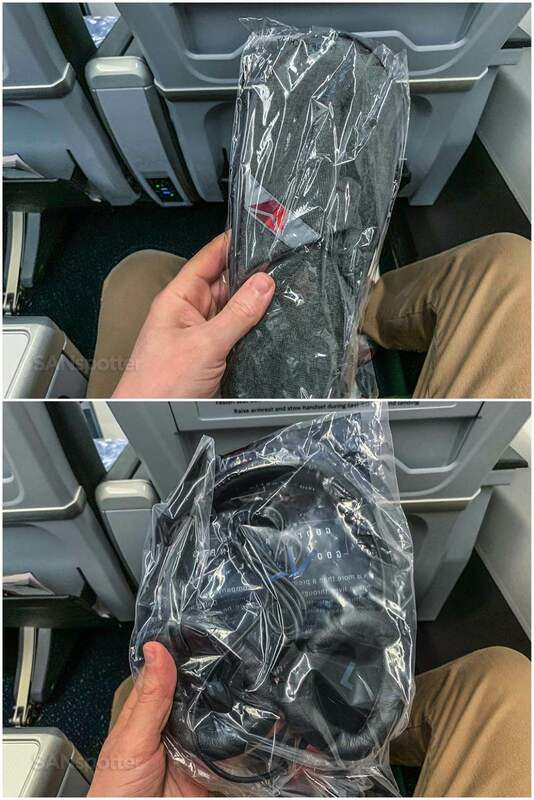 Nothing says “premium economy” quite like diamond stitching and a Delta widget to the head. Leg room is pretty good here in Delta Premium Select, though interior seats don’t have direct aisle access. Well, technically that is – it just depends on whether not you’re willing to risk a sexual assault charge from the aisle seat passenger as you climb over them. 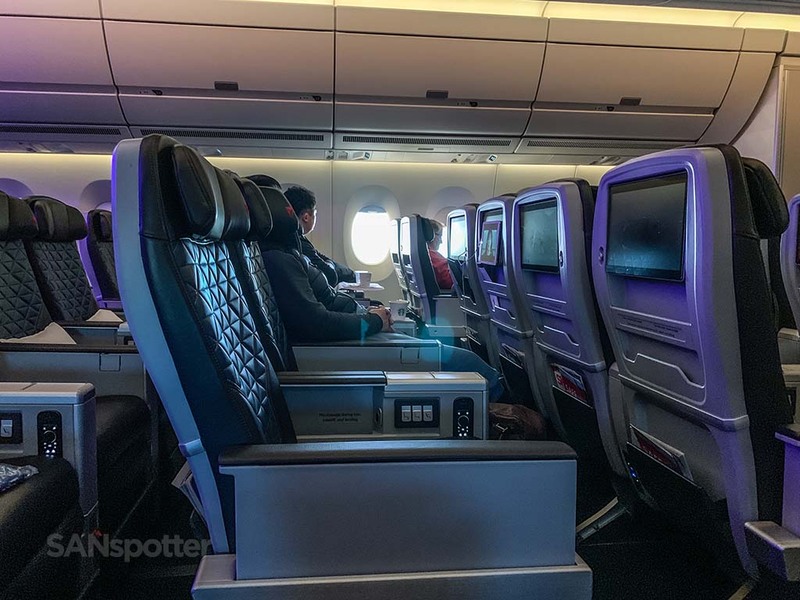 One of the first things I noticed about the Delta A350 Premium Select seat is that it’s not as wide as the QANTAS premium economy seat on the 787-9. However, that’s the only main difference, and everything else about these seats (materials, leg room / seat pitch, design) seemed to be on par. 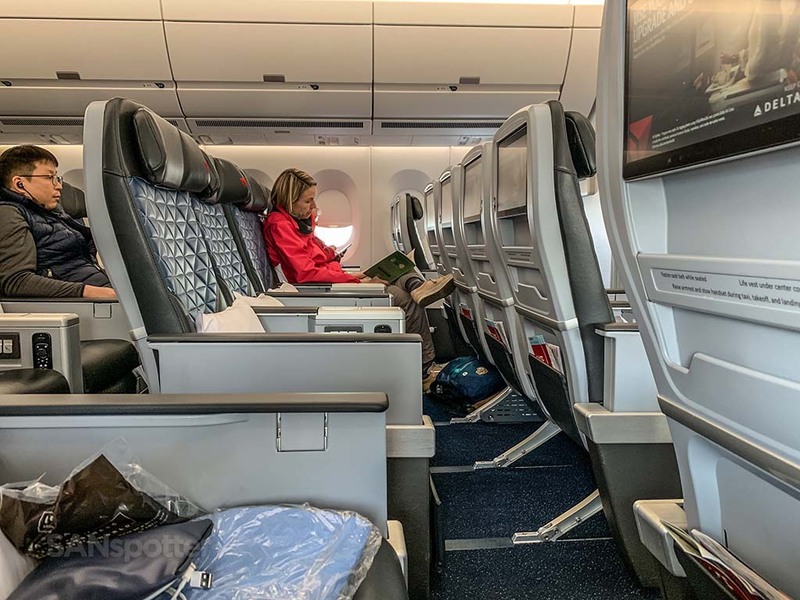 Those of you curious as to how Delta premium economy compares to Delta One (business class) in terms of amenities will be happy to know that they aren’t all that stingy. A full-size amenity kit, slippers, and an enhanced menu are included (as are thicker blankets and larger pillows compared to what you’d get in economy). Premium Select amenities for the feet and ears. 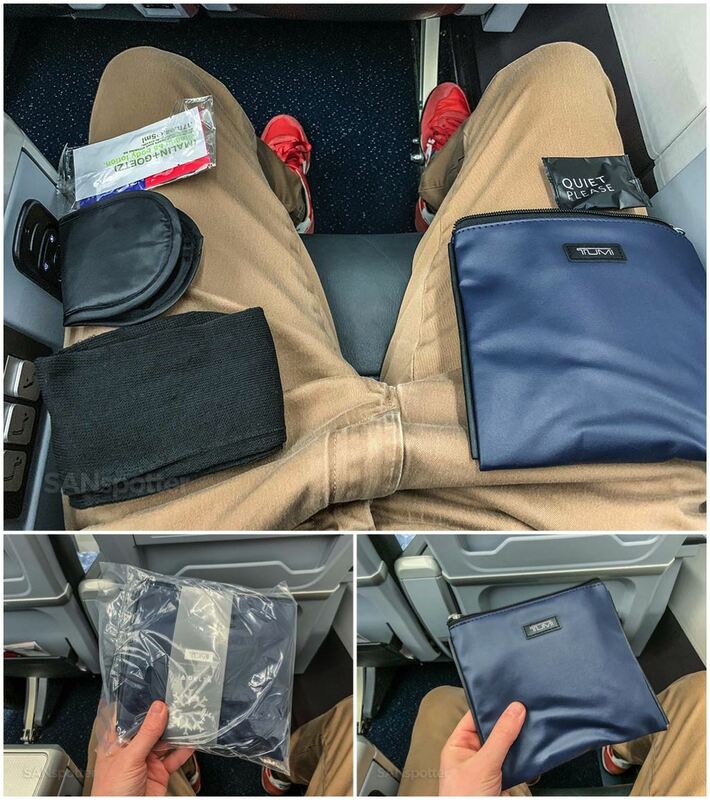 A Tumi amenity kit is also included. It’s a really good thing I’m an adult who knows how to behave in public, because the little boy in me is always tempted to put on everything all at once (including the lotion) and ask a flight attendant if she’d be so kind as to take my picture for the blog. The menu, complete with a detailed description of the service on today’s flight. Spoiler alert: it was fairly accurate, though I’d recommend replacing “Rest & Relax” in the Mid Flight section with “Sit and think about making more healthy dietary choices from now on.” Gee, can you guess what’s coming? Just as I was realizing how awesome Delta A350 premium economy is, the forward boarding door was closed with the seat next to me vacant. 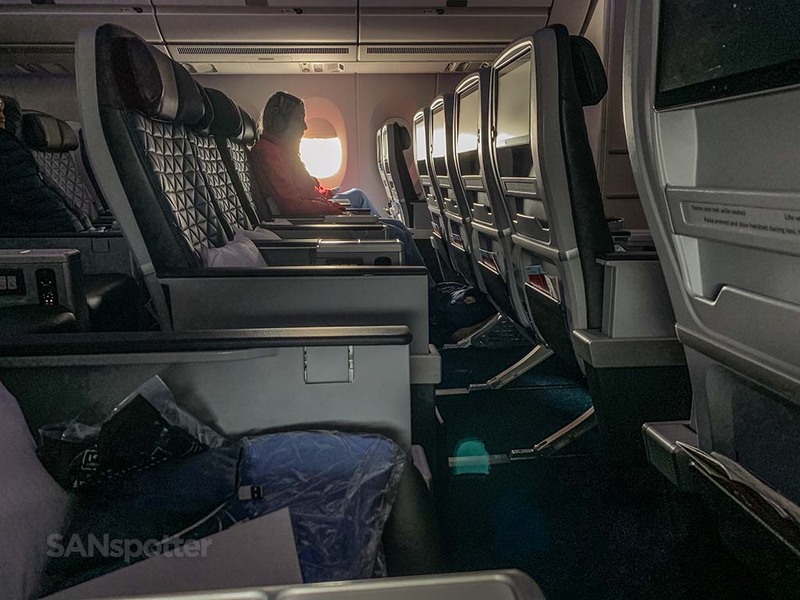 As a matter of fact, the entire cabin was maybe 20% full (80% empty for the haters) so we all had plenty of room to spread out and relax. Woo-hoo! The forward boarding door is now closed, and I get to spend the next 12 hours in complete solitude. I can also take my AirPods out of my ears now, which were only serving the purpose of giving me an excuse to not engage in unwanted conversation with a potentially annoying seatmate. Oh come on – it’s not like you haven’t done this before either! 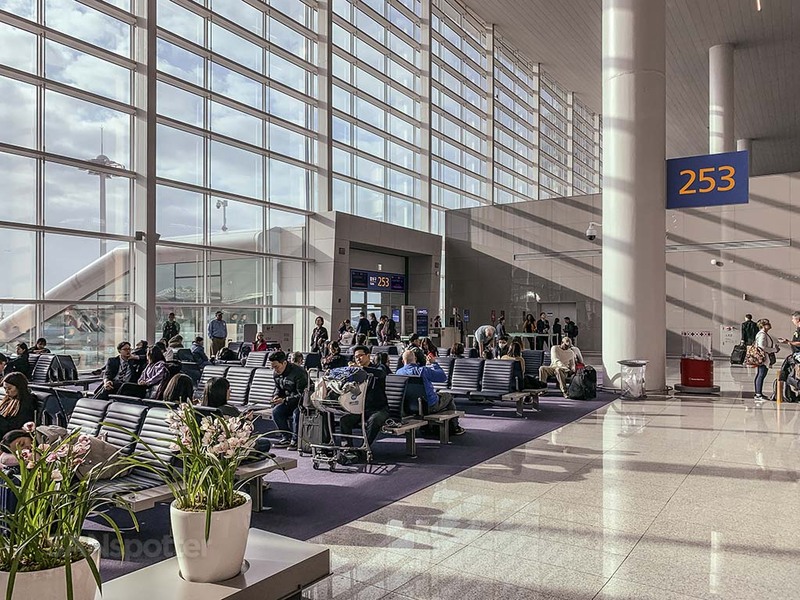 Yup – we’re deep into SkyTeam territory here at gate 253. But wait…hasn’t Alitalia been bankrupt for the past 20 years or so? How are they even still flying?! I hope that plane makes it back to Italy before they pull the plug on that airline for good. Wanna hear the most annoying sound ever? Try to watch more than three seconds of this portion of the video (at full volume starting at 4:40) if you dare. Bet you can’t. Departure out of ICN this morning was beautiful, though not exactly uneventful. 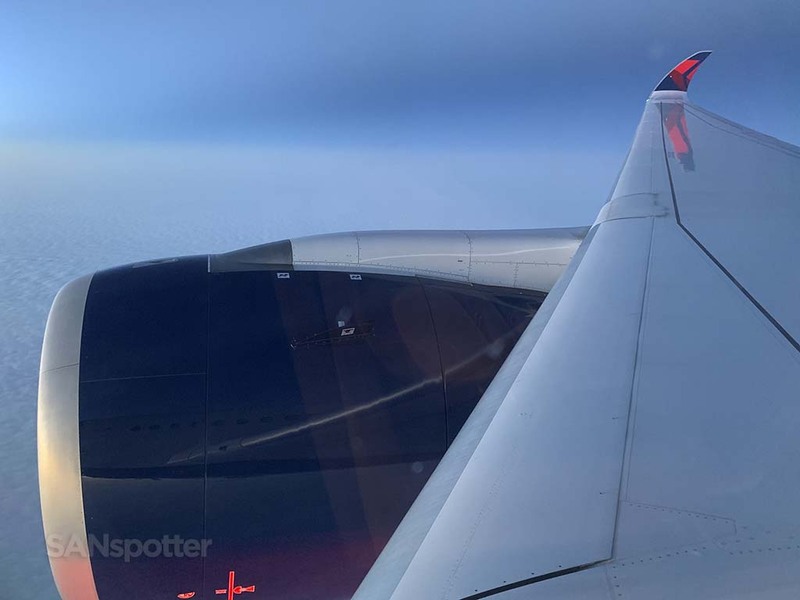 Skies were generally clear, but there were very strong winds aloft causing turbulence strong enough to keep the flight attendants seated for the first hour of flight. You ever look at other people on your flight and wonder what their story is? Why are they going to Detroit? What were they doing in Asia? More importantly, do they even read sanspotter.com? 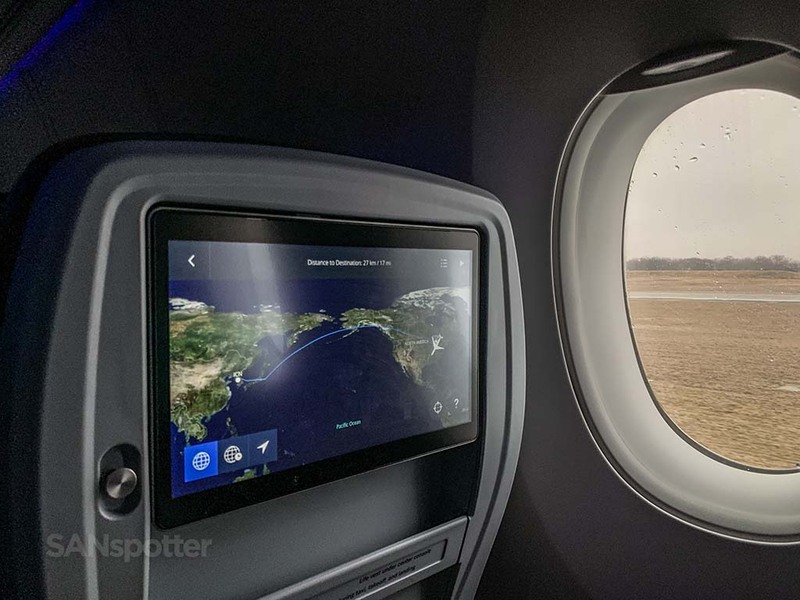 Why watch the latest Hollywood blockbuster when you can stare at a picture of the A350 you’re flying on instead? I didn’t mind at all having to wait for the service to begin. 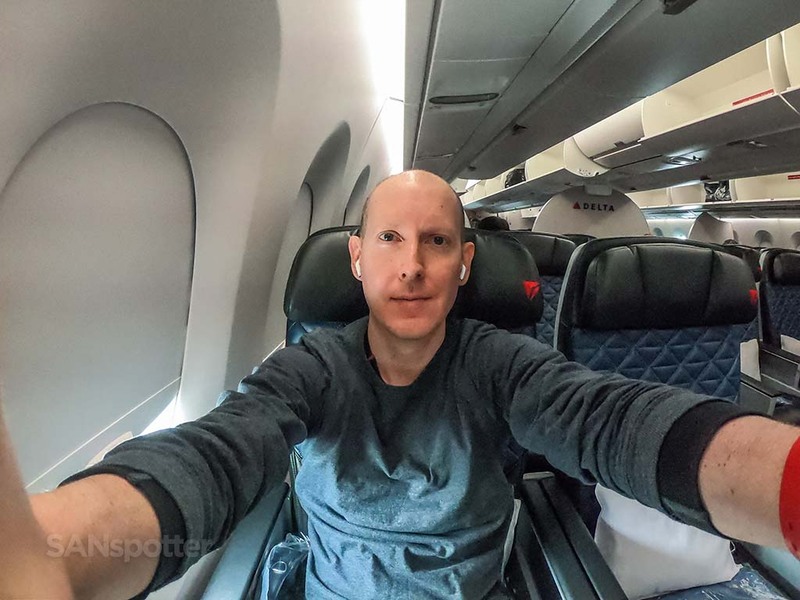 My belly was busy processing all those pork dumplings anyway, so there was no temptation on my part to begin this Delta Premium Select review with a snarky comment about flight attendants unwilling to risk life and limb for my selfish needs. Remember those old blue bug lights that would incinerate mosquitoes with a very satisfying “sschwZAP!” sound? This reminded me of that, and I was terrified of touching anything. 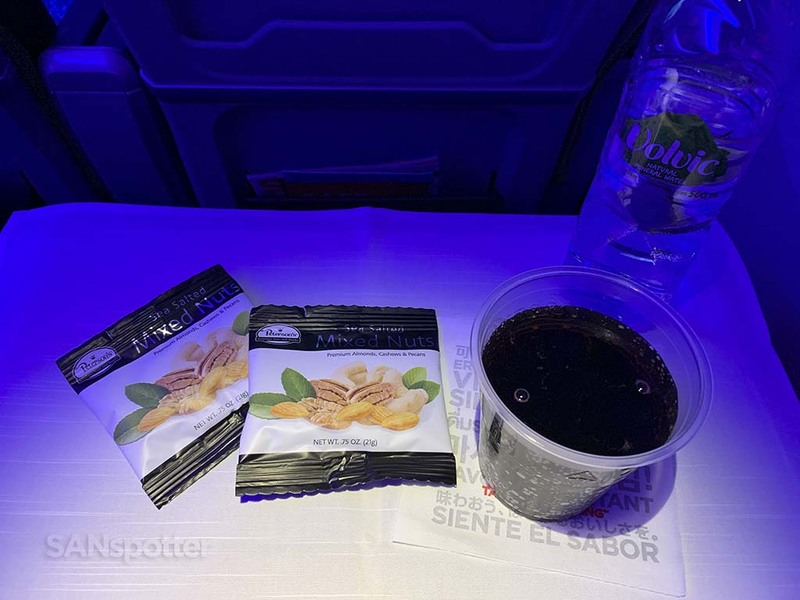 Once things calmed down a bit, service started with mixed nuts in little bags and beverages (of any kind) to go with them. 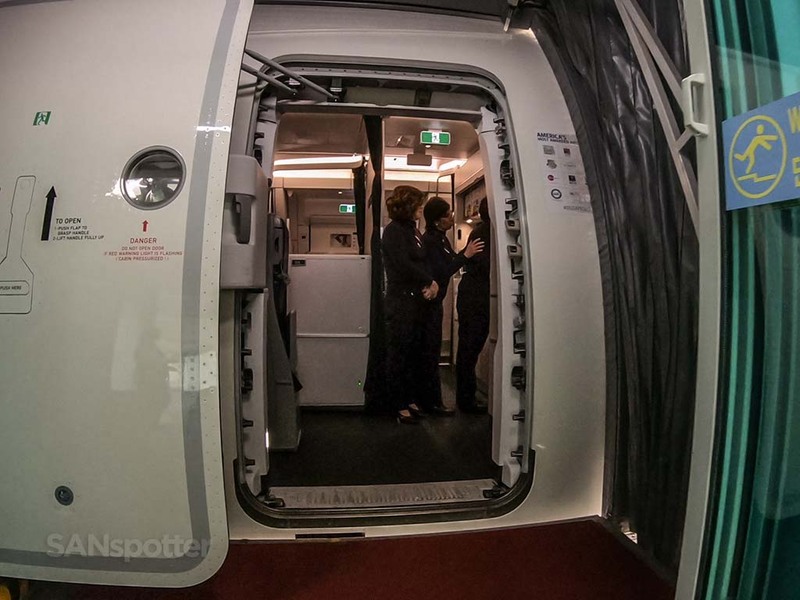 I could easily tell that the flight attendants were very much enjoying the light load this morning, as they were very cheerful and extremely generous with the snacks. I ended up with three bags of nuts and three drinks (water, Diet Coke, and red wine) not because I asked for it – but because she kept pushing me to ask for anything I wanted. I guess that’s one good way to get me to write a glowing Delta Premium Select review! Diet Coke in a plastic cup and little bags of nuts aren’t fancy, but the white linen tablecloth is. 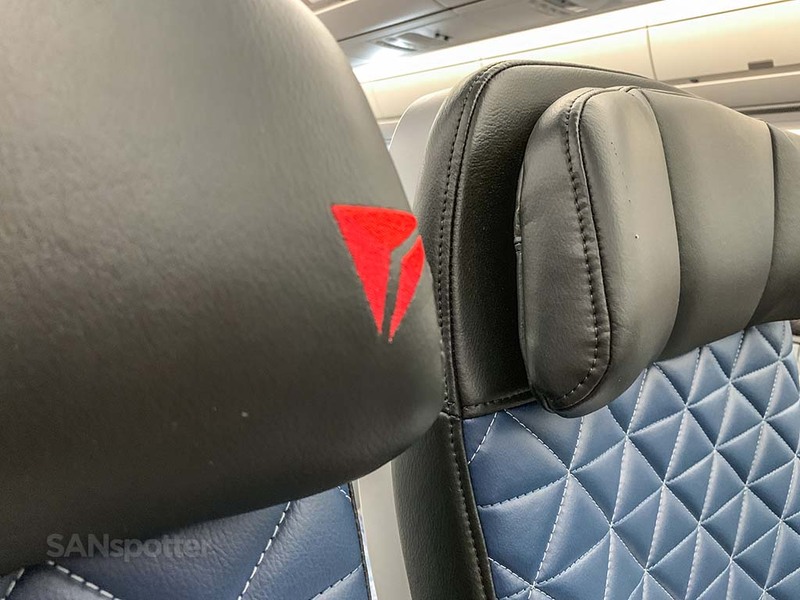 A nice little perk here in Delta Premium Select! 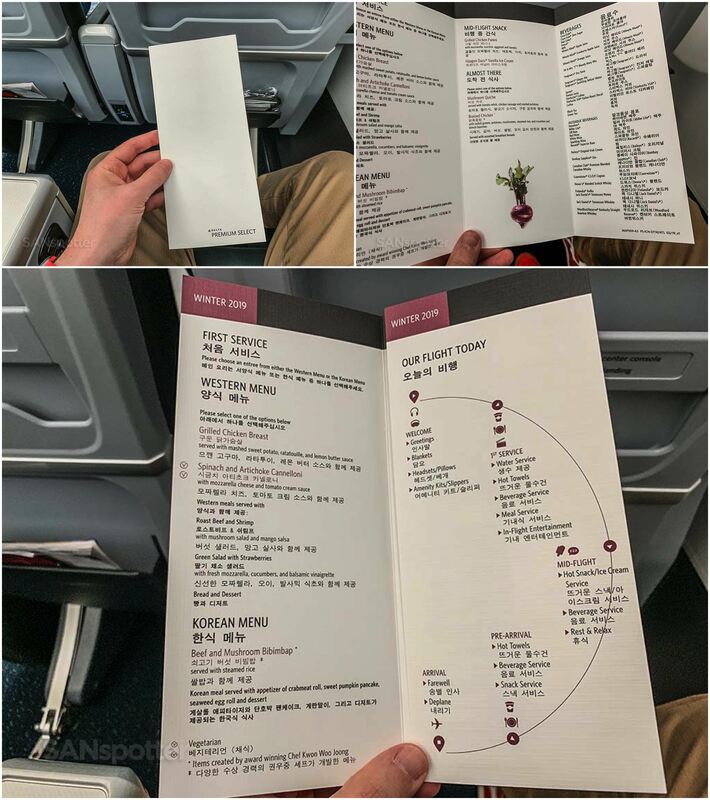 There were two meal options on today’s flight (Western or Korean), each having several variations to choose from. I went with the Spinach and Artichoke Cannonelli after the flight attendant sensed my inability to make a decision. “It’s really good” she proclaimed in a confident tone of voice I couldn’t help but to trust, and followed it up with “I’ll be right back with more wine” even before I had the chance to tell her it was a bad idea since I was a lightweight who was already flying 20,000ft higher than this A350 was. The wine was flowing like water up here in Delta premium economy today, that’s for dang sure. This looks a lot like the Mexican dish I was served in Delta One between Atlanta and Seattle a couple years ago, and if I’m being honest, it didn’t taste all that different either. 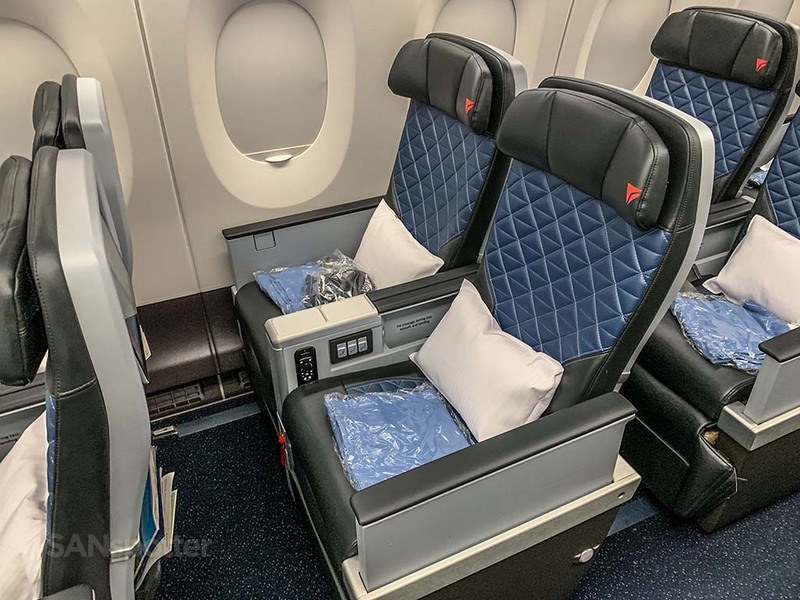 This *is* (by far) the most colorful pic in this entire Delta Premium Select review though, so it least is has that going for it. Thanks to one too many sips of wine and a tray of really good food, it was all too easy to recline the seat after the meal service and sleep off my sins. 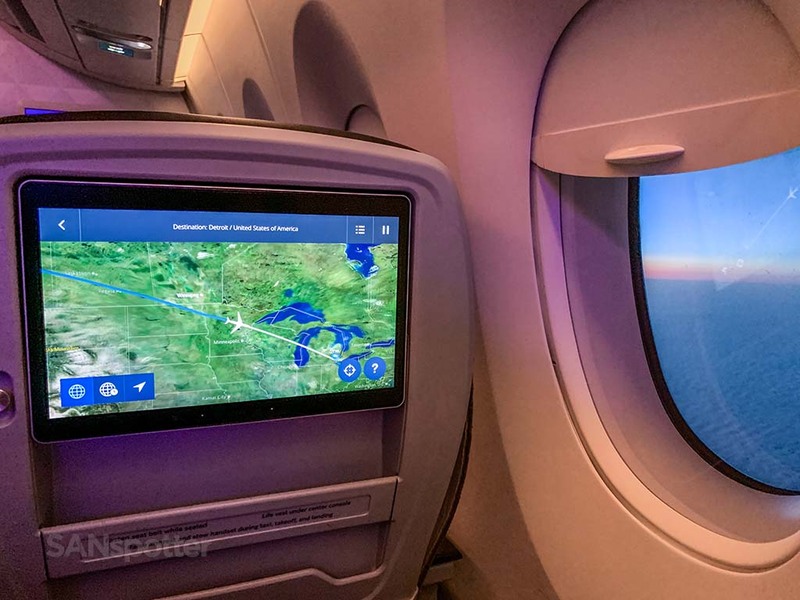 And thanks to the fact that there wasn’t anybody sitting next to me, it was easy to get up every now and then and walk to the back of the plane to get the blood flowing when needed. Somewhere down there is a frustrated fisherman who would kill for a taste of what I just ate. One can only eat fish so many days in a row without losing it. Interestingly enough, the load factor back in economy looked only slightly higher than it was up in the Premium Select cabin. 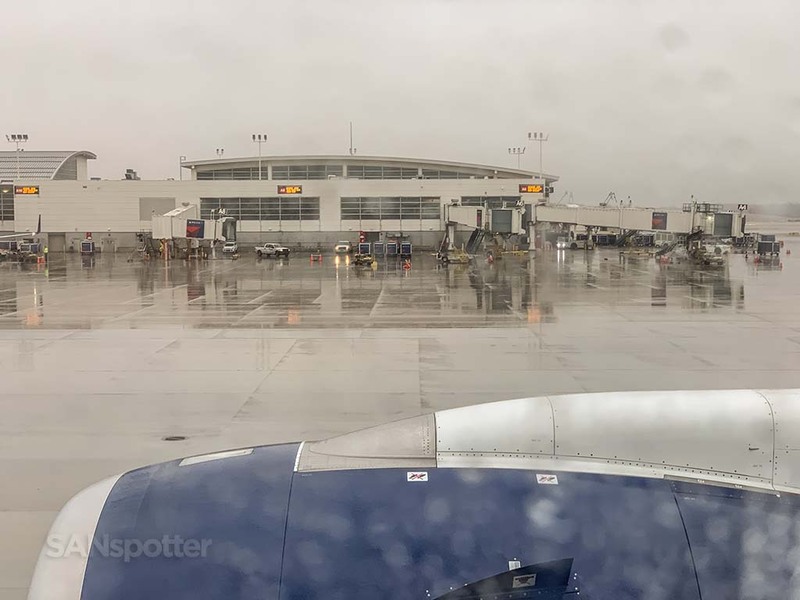 I sure hope that Delta has higher loads on this flight on a regular basis, because it was looking a bit bleak today. FYI, if you’ve never been to Anchorage, you’re missing out on one of the best places in the world to watch aircraft dump chemtrails streak overhead. And you thought the part about the food was over! Several hours later, just as I was sobering up and not feeling uncomfortably stuffed, it was time for the mid flight snack. 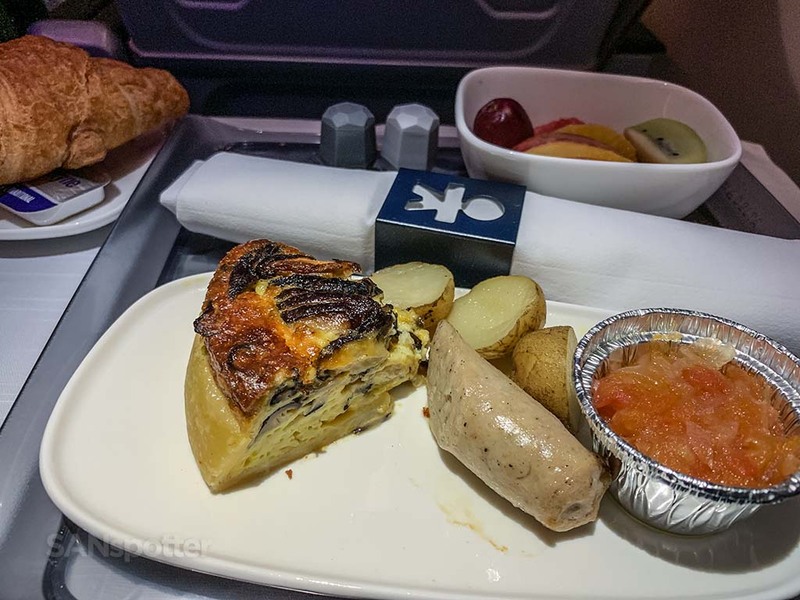 And just so you know, the Delta premium economy mid flight snack is more like an actual (artery clogging) meal compared to what is served back in economy. Whether that’s good or bad is entirely up to you. 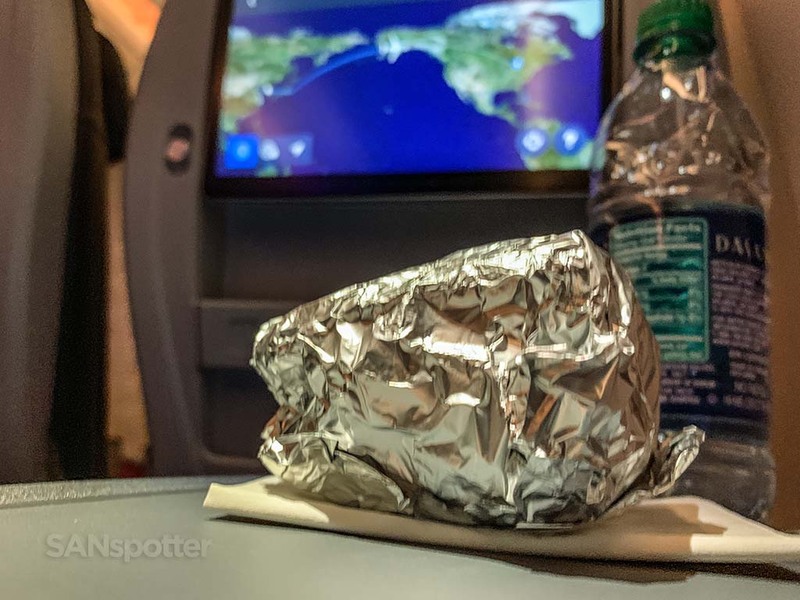 As the flight attendant handed me a squishy wad of tin foil that was as hot as molten lava, I couldn’t help but to think that this Delta Premium Select review was going to be all about the food. I may have even been giggling about how I was going to write about the mass quantities of food that was being served, but when the ice cream came, it wasn’t funny anymore. It was then that I had to wonder if this flight attendant wanted me dead or something – because the ice cream would have done it for sure. Thankfully I passed on it and lived to write this review. 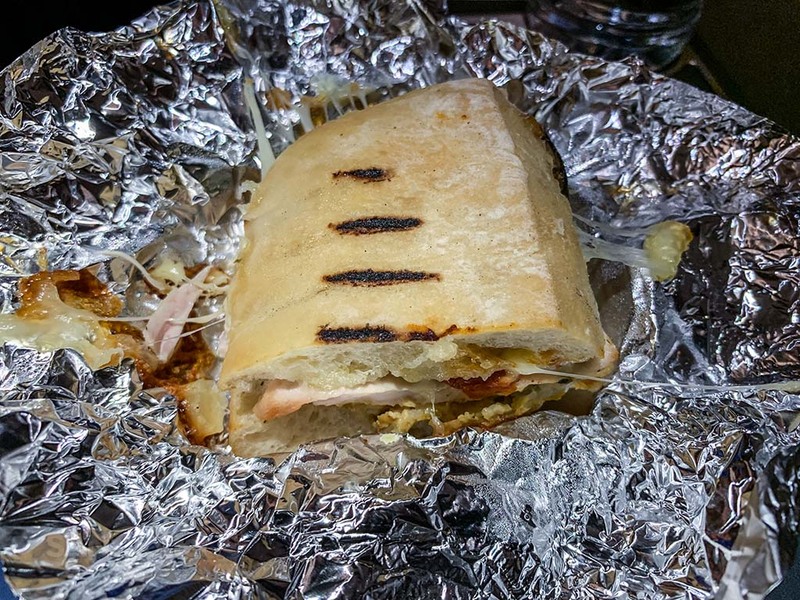 Who am I to turn down a steaming hot wad of tinfoil placed so perfectly on my tray table? At least I had the good sense to refuse the ice cream that came with it. Somewhere out there on the interwebs is some really interesting data which explains why I can’t resist anything oozing with hot melted cheese. I’m sure of it. The look of absolute horror as I spotted flight attendants coming through the aisles with ice cream to go with that hellaciously delicious heart attack sandwich. Just two short hours later, it was time for breakfast. If this were any other day at home, I would have stopped eating hours ago with no plans to do so for the next 48 hours. But this is premium economy after all, and I need to write the best possible Delta Premium Select review that I can, so…bring it. With a glass of orange juice as well please! Breakfast. Yes, I could have been sensible by choosing a bowl of cereal and a plate of fruit, but…since when have I ever been sensible on an airplane? 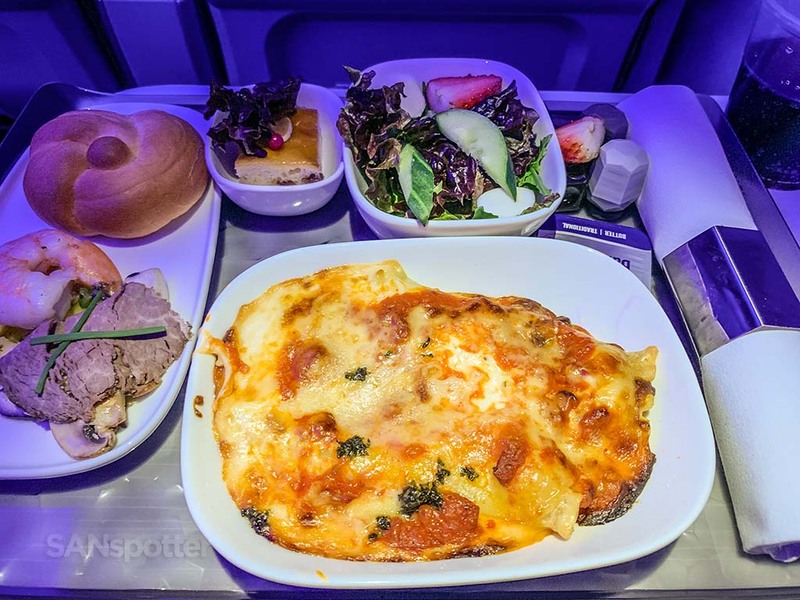 If there was one really good thing about the amount of food that was served on this flight, it was the fact that it would save me a ton of money once on the ground at DTW. 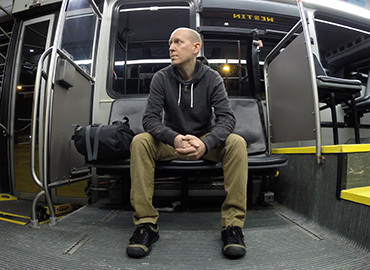 I had a 7.5 hour layover before my connection to San Diego, and I was confident about surviving it without spending a dime on expensive airport food. Apparently my sister lives right underneath a major airplane super highway in the sky, because this is the second time in six months I’ve flown directly over top of her house in a wickedly cool aircraft (the last time was on a Philippine Airlines 77W between YVR and JFK). There was actually talk of DTW being closed due to weather earlier in the flight, but the fact that we passed MSP without diverting was a good sign. Take her home, boys! As we made the approach and descent into Detroit, the gray skies and dead brown landscape was a stark reminder of what the month of January had been like (every year) for the first 21 years of my life. I grew up just 45 minutes north of DTW, and I was feeling a wave of flashbacks come over me as the near-freezing raindrops streamed across my window. This is January in southeast lower Michigan, and it’s the gloomiest time of year here. By far. I’ll spare you the gloomy pics of the approach and landing (you can see it in the video though). Instead, here’s a nice shot of us flying over the place where I blossomed into such a nerdy weirdo: good ‘ol Southeast lower Michigan! On the ground at DTW now, and the reality of a 7.5 hr layover before my flight to SAN is kicking in hard. Is lighting vacant houses on fire and flipping cars still a “thing” here in Detroit? It’s been a while and I’m totally out of the loop on the latest happenings here in my old hometown. One thing sure hasn’t changed though. January in Detroit has to be the gloomiest place on planet earth, and this looks exactly how I remember it from my youth. At least the airport is a lot nicer now! The gloomy skies and freezing rain didn’t phase me any, for I had just experienced the best Delta premium economy product there is. 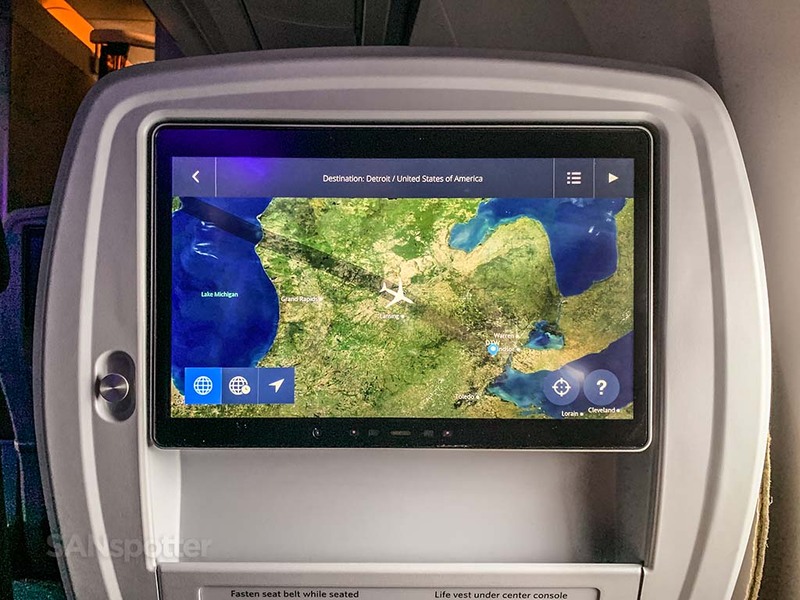 It ended up being a very comfortable (and delicious) way to fly between Seoul and Detroit, and (just as I said in the conclusion of my QANTAS 787-9 premium economy review), these premium economy products are getting so good that I don’t really mind not being in business class. It wouldn’t be Detroit if the jet bridge wasn’t as rusty and gloomy as it is outside I guess. Nonetheless, it’s good to be almost home! Well, not before a 7.5 hr layover and then a 5 hr flight in economy class though. 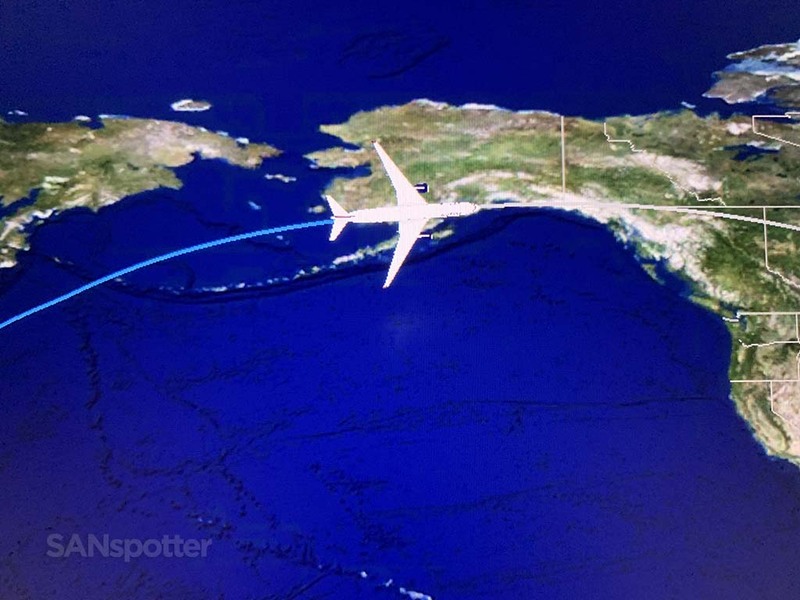 As soon as I find the guy who booked this ridiculous itinerary, I’m gonna kick his…oh wait. The really good news? 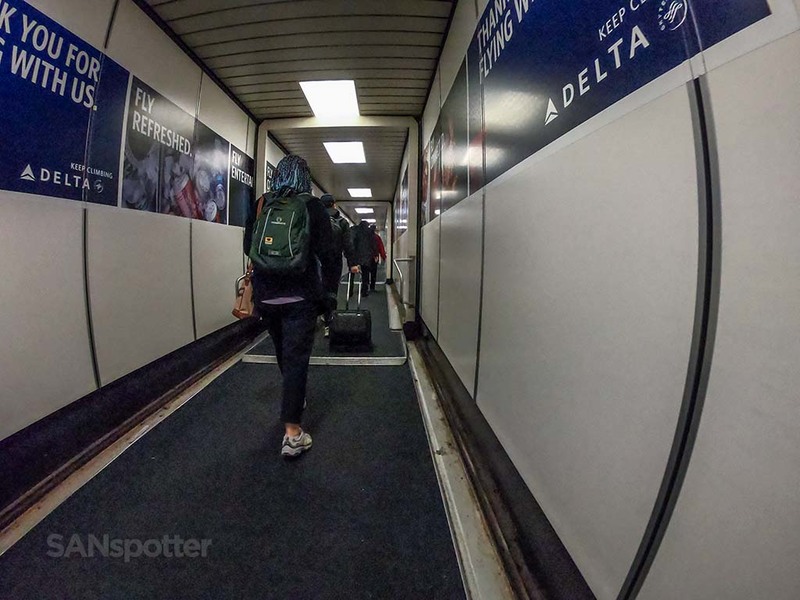 Most any other Delta Premium Select review I’ve read has been just as positive, which is reassuring. 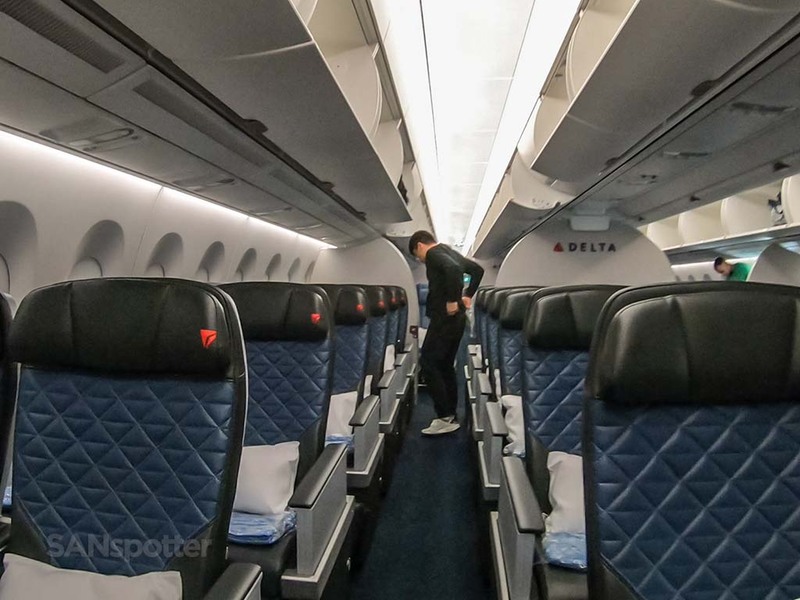 Is Delta actually turning into one of the world’s best airlines right in front of our eyes? 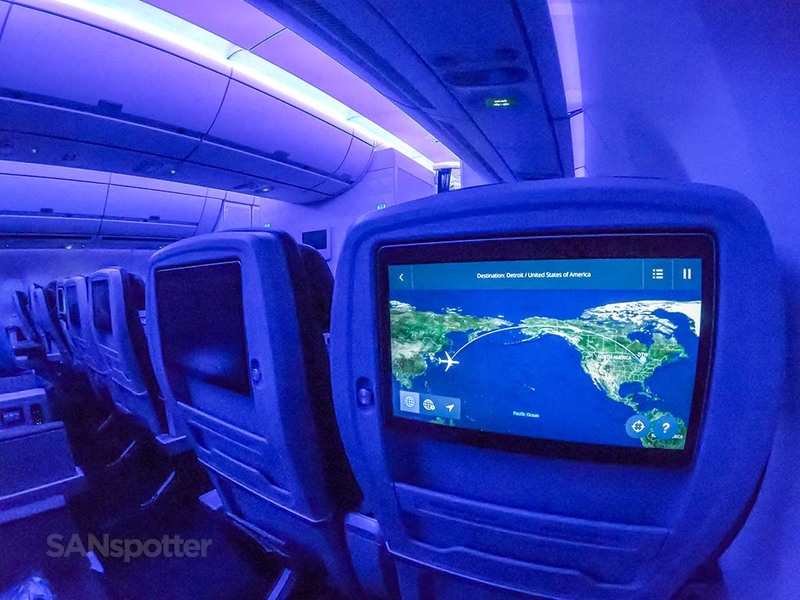 I’ve already proclaimed them to be the best in the US, but I’m now at the point where I’d go as far as to say they are better than any European airline currently flying. They’ve definitely got a long way to go before they topple an Asian airline such as JAL or Asiana, but…progress is progress! So you just went to Detroit, so how did you get back to San Diego?